“Effective April 1, 2019, a nominal adjustment will be made to our daily service charges. This discretionary daily service charge makes it easy for guests to provide gratuities to our onboard staff, dedicated to delivering superior guest service throughout every cruise. 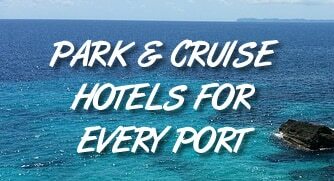 The rates for all ships, except for all-inclusive Norwegian Sky and Norwegian Sun sailings, have increased to $15.00 per person per day for any category up to a mini-suite stateroom. The rate for any suite, Concierge or The Haven category stateroom has increased to $18.00. For all inclusive Norwegian Sky and Norwegian Sun sailings the charge has increased to $20.50 per person per day for inside, ocean view and balcony staterooms and to $23.50 per person per day for suites. Starting April 1, 2019 Norwegian Cruise Line will increase daily service charges (more often known by guests as gratuities) on all their ships for passengers in all types of accommodations. Most cabin passengers will now pay $15.00 per day, per person, up from $14.50 per day — a 3.4% increase. The daily fee for NCL guests in The Haven, Concierge, and other suites will go from $17.50 to $18.00. After the price increase most passengers on Norwegian Sky and Norwegian Sun, the line’s all-inclusive ships, will pay $20.50 per person, per day, rather than $19.99. Suite passengers on those ships will see their charges go from $22.99 to $23.50 per day. News of this latest service charge increase first came to our knowledge via Cruise Critic. The new rates have since been posted on the cruise line’s website. This increase comes on top of a similar one just a year ago. Last year’s price increases ranged from $0.50 per person, per day to $1.00 per person, per day, depending on the ship and cabin level. Additionally, the cruise line recently raised the service charge on drinks from 18% to 20%. You can see an entire listing of recent cruise line gratuity increases here. The trend toward increasing gratuities and service charges can affect the overall price of your cruise, even though the extra amount may seem small on a daily basis. For example, two people sailing in a standard cabin on a week-long cruise will now pay $210 in charges on their Norwegian cruise. In the case of first-time cruisers, the added cost can come as an unpleasant surprise, since these costs are not usually part of the advertised cost of a cruise (although they are clearly stated before booking). It will be interesting to see what other price increases might be on the way at Norwegian given Del Rio’s promise to investors. To see how much tips or service charges will cost on your upcoming cruise, use our free gratuity calculator here. What are your thoughts on the rise in service charge prices? Will the changes make a difference in your cruise travel plans? Let us know in the comments below.